Review: What’s the Best Pop Filter for the Blue Yeti? 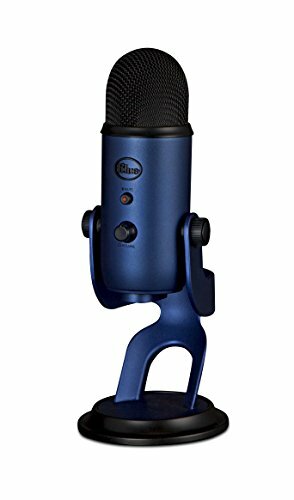 Are you playing with the idea of buying a Blue Yeti microphone or have you already acquired one? In both cases, it’s a good idea to look for a quality pop filter before you start recording. But wait, what’s a pop filter again, and do you really need one for your Blue Yeti? A pop filter is a noise protection filter that will protect your microphone from popping sounds. These popping sounds can happen when fast moving air hits the mic, for example when you’re prounincing letters such as “p”, “t” or “k”. If you want to experience the impact of these sounds, just hold your palm about 2 inches in front of your mouth while you’re speaking. You will see that some consonants propel more air forward than others. These are generally the ones that can cause problems when you’re recording without a pop filter. You’ve finally got your Blue Yeti mic - now you just need to set it up. But how? YouTubers and podcasters usually have a mic stand to help them with that. In this article, we’ll tackle what makes a good setup and what you should know before you buy a stand for your Blue Yeti mic.